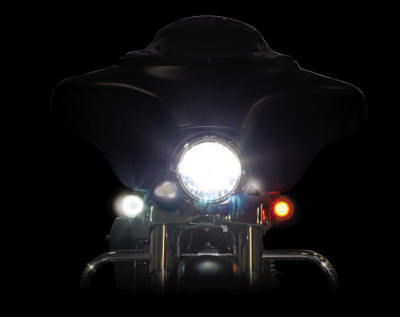 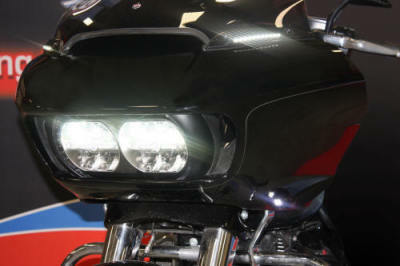 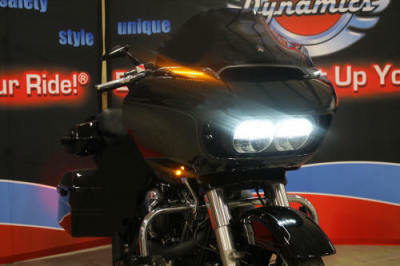 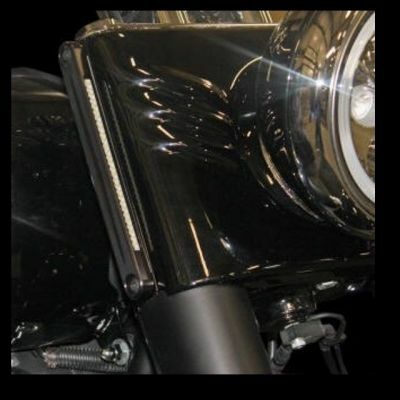 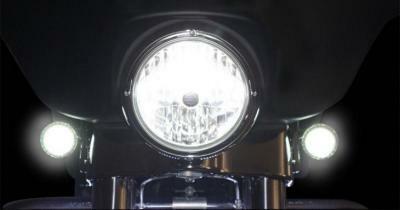 The Best LEDs Turn Signals On the Market Today Backed By the Best Warranty! 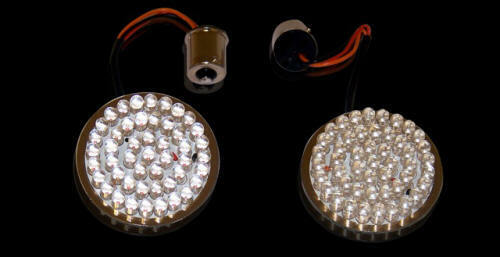 Lifetime Manufacture Warranty Against LED Failure!!! 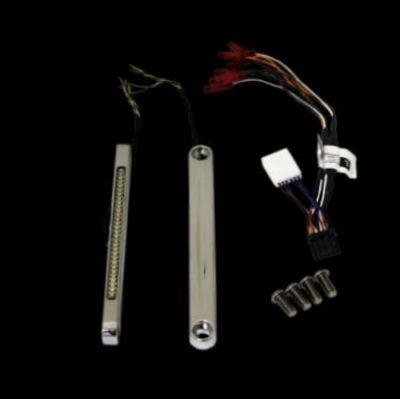 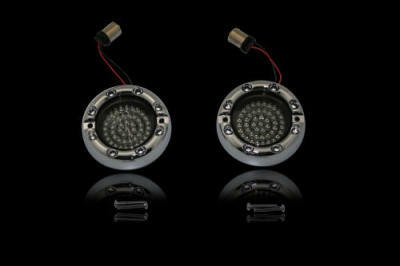 is required, LED will flash at proper rate, no codes. 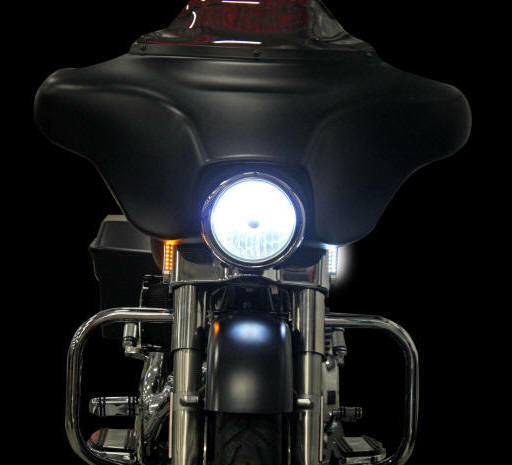 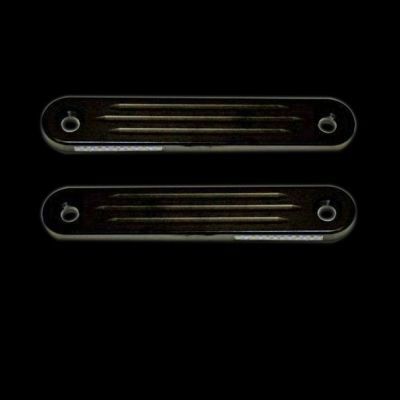 FMVSS Standard No 108 #5 States " If optically combined with a turn signal lamp, is automatically deactivated as a DRL when the turn signal lamp or hazard warning lamp is activated, and automatically reactivated as a DRL when the turn signal lamp or hazard warning lamp is deactivated." 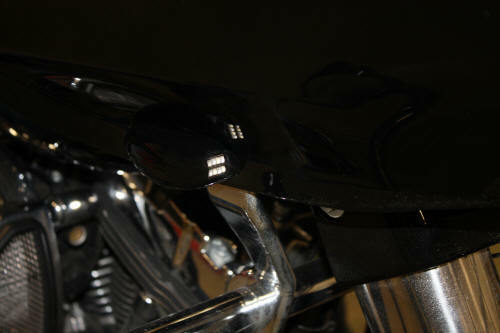 Note: European Dynamic Ringz™ require one wire to be fished through the housing and connected to the running light circuit. 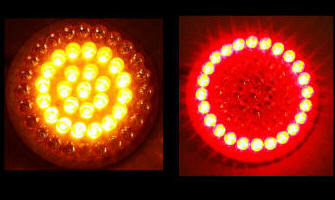 Dynamic Clusters2™ are a multi-color LED Clusters used for rear turn signal applications. 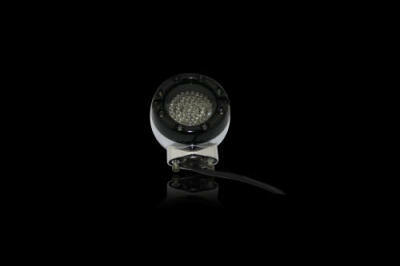 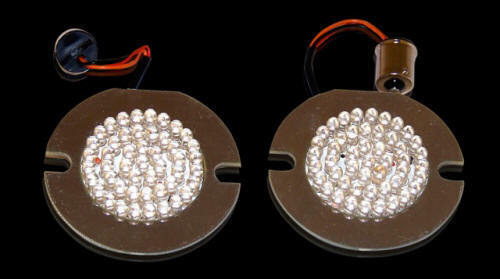 The clusters are 2" in diameter and contains 48 super bright LEDs. 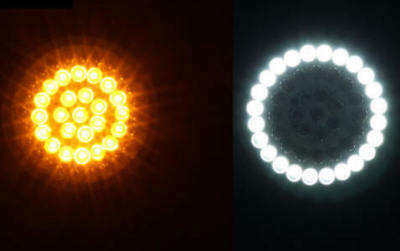 The AR2 inner ring contains Amber LEDs while all outer LEDs are dual intensity Red. 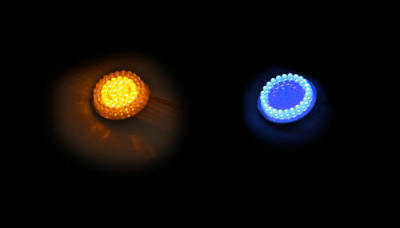 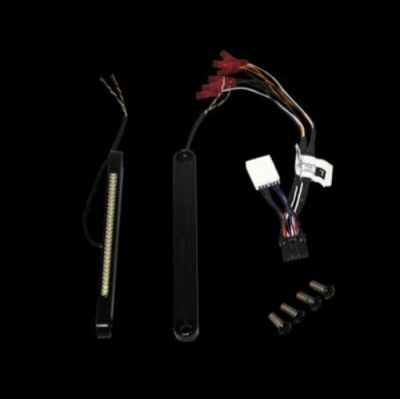 The Amber LEDs are connected to a 1156 base while the dual intensity Red LEDs are connected to 3' wire pigtails. 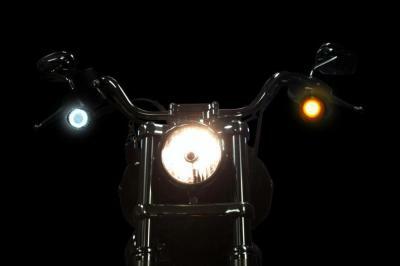 These clusters can be wired as: Red Low Intensity Running Light, Red High Intensity Brake Light, and Amber High Intensity Turn Signals, this allows your rear turn signals to be converted from simple turn signals to Dynamic running, brake, and turns signals, all in one unit!!! 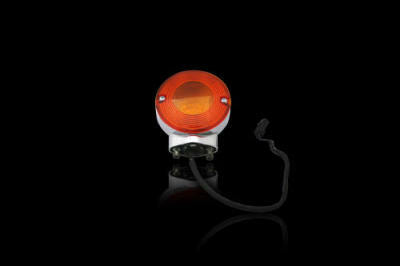 Installation is very simple, just plug the 1156 base to the stock turn signal housing receptacle, run the orange running light wire and the red brake light wires through the stock turn signal steams back to the taillight, connect the orange wire to the stock running light and the red wire to the stock brake light wire with the supplied posi-tap connectors. 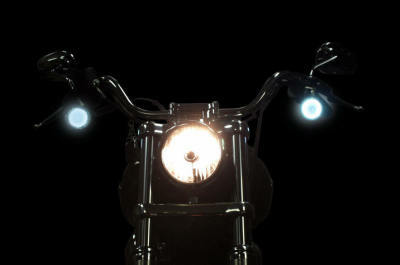 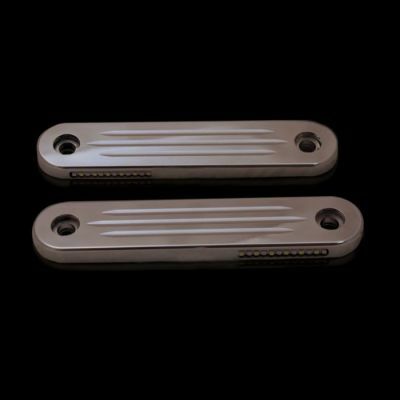 The RR2 outer ring contain RED LEDs that function as running lights, while the inner 24 Red LEDs function as Brake and Turn. 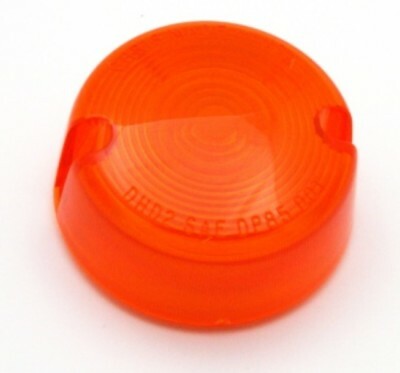 Must be used with an 1157 Rear Socket. 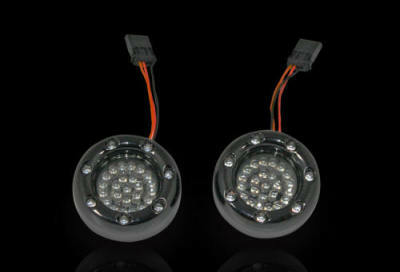 - White DRL Running Lights, Amber LED Turn Signals in an Aluminum Housing. 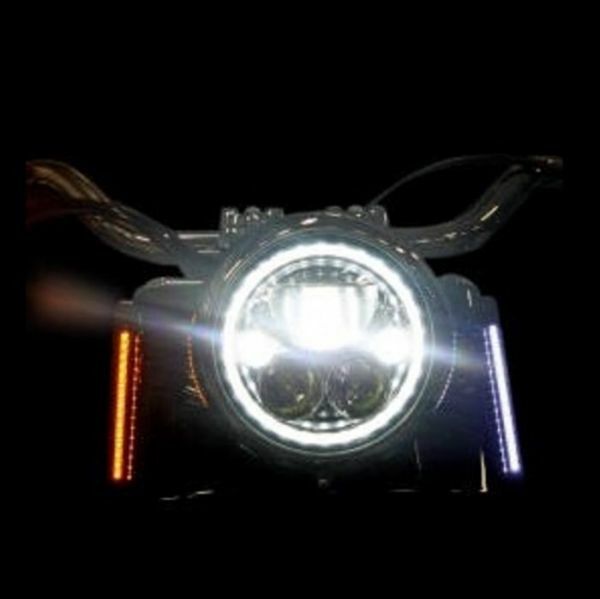 - White DRL LEDs are automatically deactivated when the turn signal lamp or hazard warning lamp is activated, and automatically reactivated when the turn signal lamp or hazard warning lamp is deactivated.